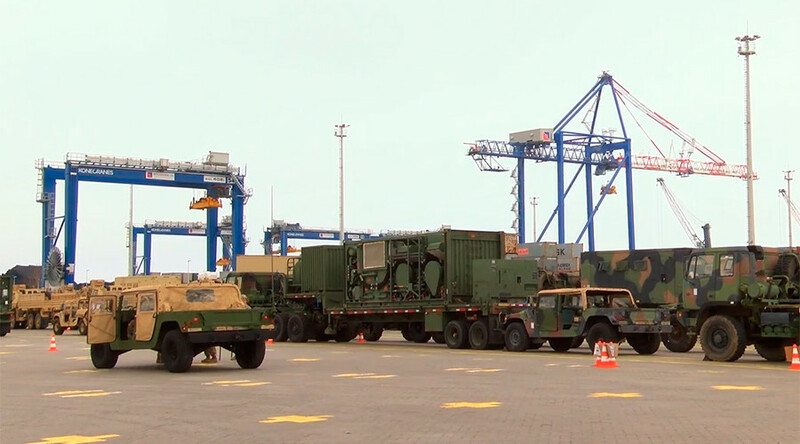 US troops and vehicles have departed from the Polish port of Gdansk towards their deployment sites in Poland and Lithuania to take part in NATO's Atlantic Resolve operation in Eastern Europe. The third deployment of US troops in 90 days is “aimed at building readiness, improving our interoperability with our NATO allies, training alongside our NATO allies, and deterring aggression against the NATO alliance,” Major General Duane Gamble, Commander of the 21st Theater Sustainment Command of the US Army Europe, said as cited by RT’s Ruptly news video agency. According to the commander, the NATO military buildup in Eastern Europe is “not about provocation. It's not about countering Russians or any other potential threats." 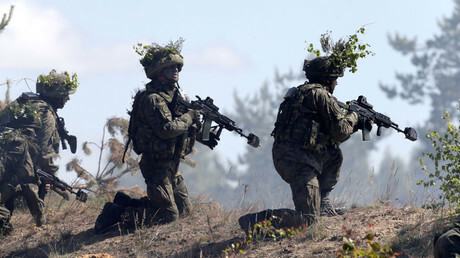 NATO has repeatedly stated that the buildup near Russia's borders is required to reassure the bloc’s eastern European allies in view of Russia’s reunification with Crimea, Moscow’s alleged involvement in the Ukrainian conflict and what NATO calls overall “aggressive” behavior by Russia. Russia, in turn, has repeatedly criticized NATO’s buildup in Eastern Europe, as a threat to its national security. Moscow responded by staging large scale-drills near the border but stressed that, unlike NATO’s activity, those exercises were being conducted inside Russian territory. Military equipment for the 497th Combat Sustainment Support Battalion (CSSB) arrived at the Polish Black Sea port of Gdansk on Tuesday. The Green Ridge cargo vessel delivered 644 pieces of military equipment, including 311 vehicles and 155 containers, which will be used for the 9-month rotation for the CSSB, the US military said in a statement. The battalion will conduct combat sustainment support to rotating US units in Poland and Lithuania as part of the Atlantic Resolve operation, including ammunition handling, military police, postal and other logistical services. The US forces are being deployed to Eastern Europe in line with the decision to place four multinational battalions in the Baltics as agreed by NATO last year. Operation Atlantic Resolve will see around 4,000 NATO troops with tanks, armored vehicles, air support and high-tech intelligence centers stationed in Poland, Latvia, Lithuania and Estonia. The four battle groups will be headed by the US, Britain, Canada and Germany, with other NATO members, including France, also contributing.